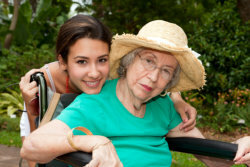 1st Care Home Health Services aims to provide compassionate and reliable care in the comfort of your own home! We have over a decade of experience as an evidence of our succes in the healthcare industry. Whether you need help around the house or if you are looking for professional help with your health at home, we got you covered. Our staff members are all caring and talented professionals with over fifty years of combined experience. We genuinely care about you and your well-being. When seek our help, you become part of our family and we will ensure that you are getting the care you deserve, whenever you need it. If you are interested in learning more about our services and how we can help you live the life you want today, please give us a call now at 317-214-9999. We are here to serve you.